It seems Ebola and terrorism may have lost their scare factor. That is because journalists have once again turned to arachnophobia. “Brazilian Wandering spider found under a bunch of bananas in Waitrose home delivery,” said one newspaper recently. Every few months, almost like clockwork, a media hype about these arachnids surfaces in the press. But we rarely find a balanced story about deadly spiders. Just how toxic are they, really? Trying to compare spider toxicities is like comparing apples and doorknobs. There are different levels of effects, some painful, others not so much. Probably the most reasonable way to compare would be to look at historic fatalities. The most commonly reported group is the wandering spiders of the genus Phoneutria. These are traditionally the darlings of the media banana spider reports. Always listed as deadly but are they really? A study in 2000, described 422 bites by Phoneutria spiders (pictured above), mostly P. nigriventer and P. keyserlingi in eastern coastal Brazil. Two children were seriously ill as a result of the bites – one died. However, more than 80% of the remaining bite victims had mild or no symptoms. Another frequently cited dangerous species is P. fera, however, this spider lives in the Amazon, far from the banana growing areas in Brazil – and most of the people. And although Brazil produces large quantities of the fruit, most are eaten domestically so little exportation occurs. Then there is the fact that most of the bananas shipped to North America originate from Central America and northwestern South America, far from areas containing large Phoneutria spiders. So these spiders pose little threat outside of Brazil (but there can be exceptional cases such as the one reported in the British supermarket Waitrose). 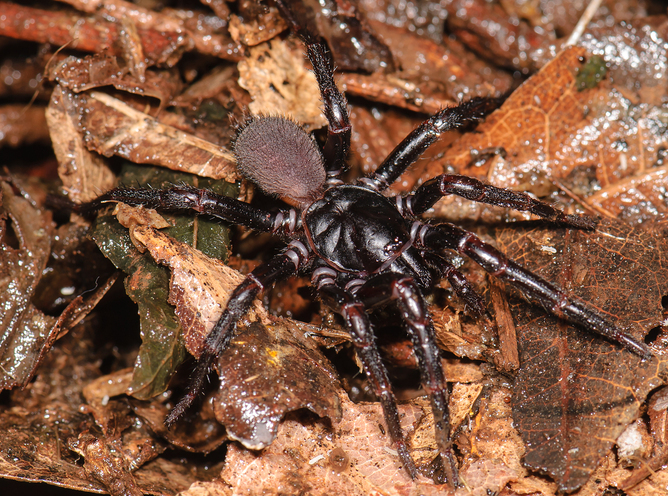 Of all the spiders whose toxicity is currently known, probably the most toxic are the funnel-web spiders of Australia (of the genera Atrax and Hadronyche). Their bites are lethal to small children within minutes or hours and adults within 24 hours – but, having said this, there have been no Australian fatalities since anti-venom was developed. 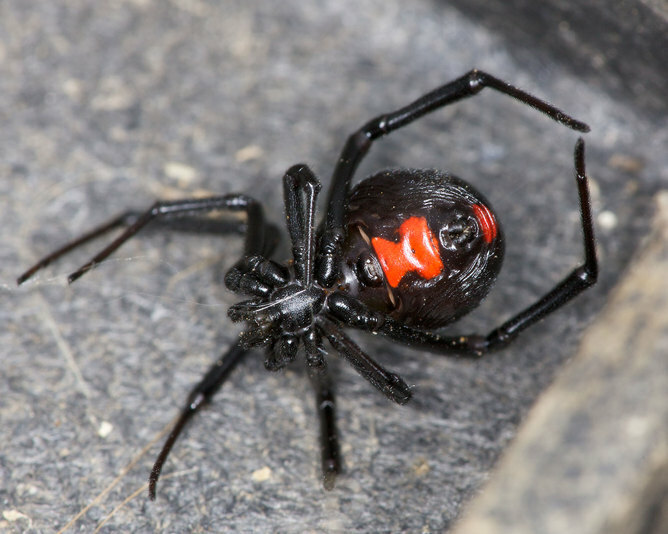 Widow spiders of the genus Latrodectus cause a fair bit of morbidity. However, death from widow bite is pretty much a thing of the past as supportive care and anti-venom has provided tremendous relief. One mitigating factor is that deaths during the early part of the 20th century may have been due to bites that occurred in men in outhouses bitten on dangling genitalia where thin skin and heavy vasculisation allowed for quick introduction of venom. Indoor plumbing has minimised widow bites. 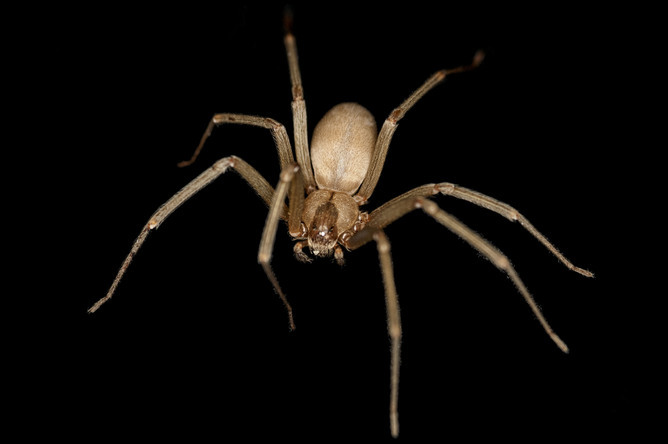 “Brown recluse and related spiders of the genus Loxosceles have a widespread reputation for causing damage, but, like Phoneutria spiders, there is a great deal of exaggeration. Most recluse bites cause only minor problems. About 10% develop significant skin necrosis but even so, loxoscelism experts recommend these can be treated with minimal intervention. Fewer than than 1% of recluse bites become systemic, typically in children, and can cause death in 12 to 30 hours. However, dialysis and hydration can reverse the systemic effects. The media likes to stir up anxiety using toxic spiders in attempts to attract an audience. However, for most of us, spiders are less of a threat than driving.